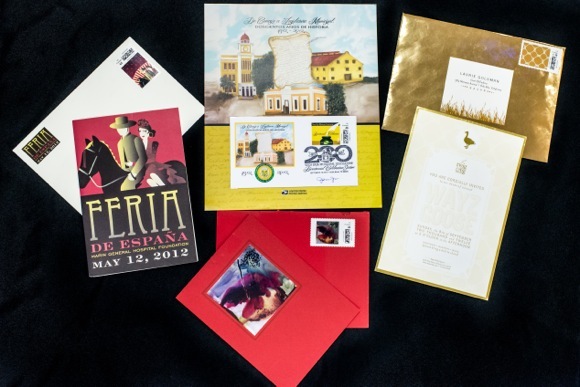 Any one who has planned a big event that involves a custom-printed invitation has come to that moment of needing to slap a postage stamp on the envelope that may — or may not — complement the carefully designed contents. Yes, there’s always the USPS “love” stamp for wedding invitations, but wouldn’t it be nice to have something more personal and creative, like a photo of the bride and groom? You can, thanks to PictureItPostage™ offered by local company Endicia, where Menlo Park resident Laurie Goldman works. “It’s simple,” she said. “You go the PictureItPostage website and load your image. Then you can purchase postage in sheets of 20, which we print locally. While Endicia does large jobs for big companies, PictureItPostage is more often used by event planners as well as individuals planning weddings, anniversary celebrations, and Bar and Bat Mitzvahs.